"What if your favorite children’s book were not only a timeless story but came with a soundtrack of tunes that kids and grown-ups alike would love? Hold onto your boots… it’s here! This Record Belongs To______ is the antidote to your standard kids compilations. You won’t find boy bands, princesses, or purple dinosaurs here. 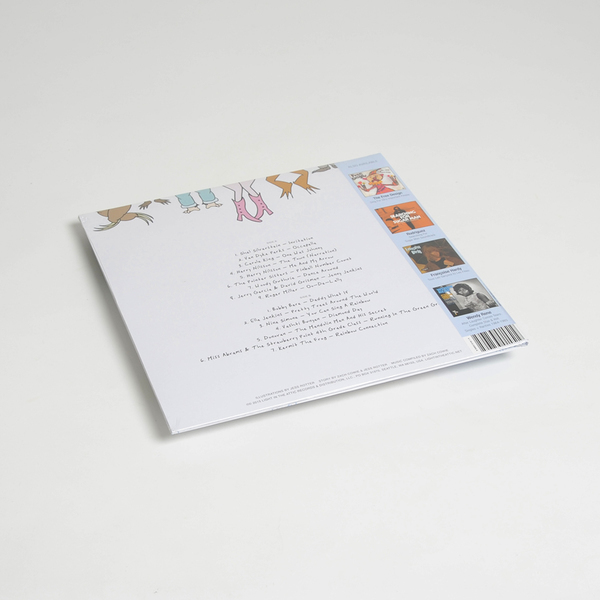 Instead the record consists of two halves–an upbeat side for daytime dancin’ and a mellow side for bedtime lullabies. Among the many gems featured include songs from Carole King, Woody Guthrie, Donovan, Harry Nilsson, Jerry Garcia, Nina Simone, Kermit The Frog and more. 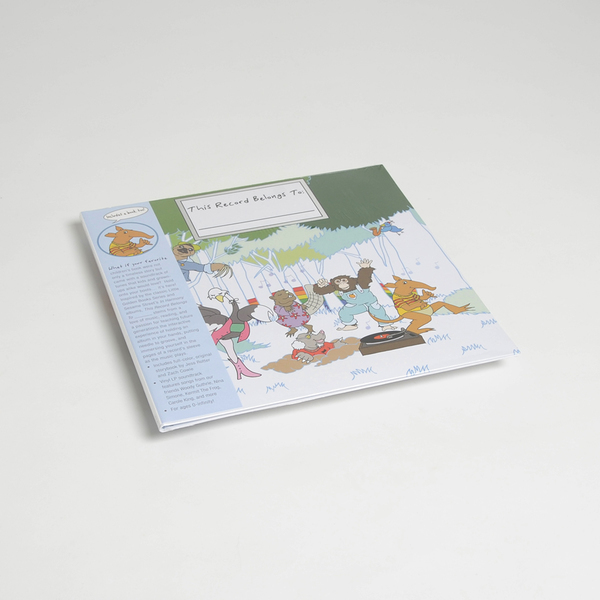 The record is accompanied by an original, full-color storybook illustrated by acclaimed artist, Jess Rotter, which tells the tale of five forest pals who find a mysterious object–a round, flat disc that they proceed to investigate. 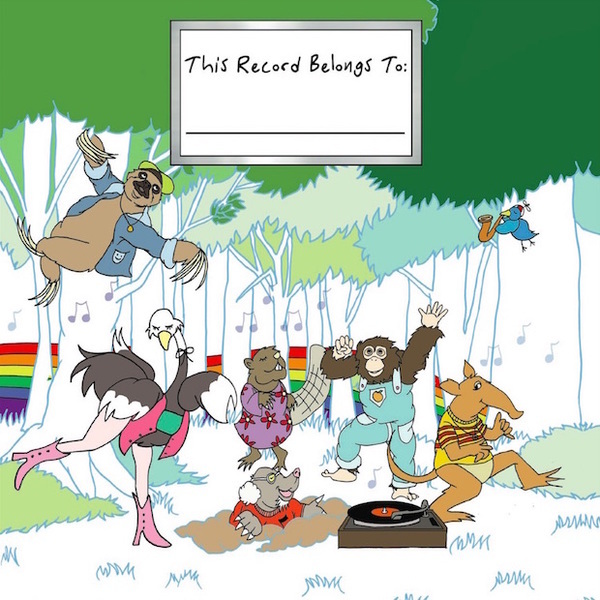 The animal friends finally solve the mystery and learn how to play a record and let their bodies move to the groove (within the grooves)."